Summary The Mont-Cenis-Academy is a public institution with a lot of different functions: College, library, office, hotel, restaurant, recreation, sport and public centre. 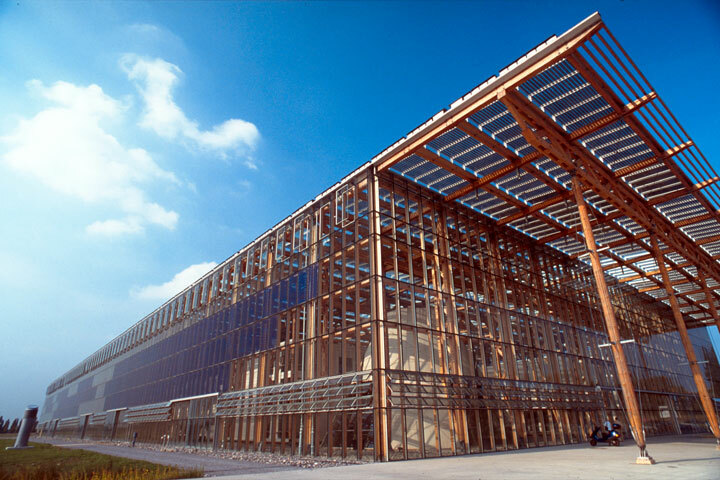 The construction consists of a wooden frame construction covered by glass that is inserted into an aluminium frame. The glass envelope has an area of 20.000 m² and causes to a climatic transfer so that inside always occur a Mediterranean climate. Into the half of the glass area are integrated photovoltaic modules in such a way that the room is exposed and shadowed optimally.